Guatemala has one of the world's highest numbers of chronically malnourished children and is worst in Latin America and the Caribbean. Around 50 percent of children suffer from chronic malnutrition. Among the indigenous population, the majority, nearly eight out of ten children are chronically malnourished. Guatemala is far worse than most sub-Saharan African countries. 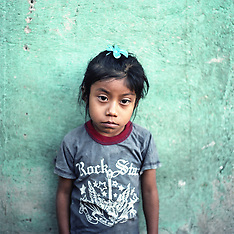 Guatemala is a lower middle-income country, but is one of the world's most unequal. Three percent of private landowners occupying nearly 70 percent of the arable lands where coffee, sugar cane, palm oil and rubber trees are grown for export. Since 2000 the proportion of chronically malnourished children has increased simultaneously as the country's economy has grown. Little suggests that the widespread malnutrition and unequal distribution of wealth in the next few years will be improved. Rather the opposite. Haiti is one of the poorest countries in the Western hemisphere. Over sixty percent live in poverty. 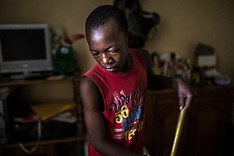 Modern day child slavery affects an estimated 300 000 Haitian children. The system is called Restavek. In the Creole language Restaveks means "to stay with". Typical born in poor rural areas. The children are given to more well of urban families. In their new homes they become domestic slaves. 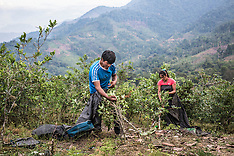 The Vrae valley in Peru is one of the worlds leading producers of coca for cocaine. Colombia and Peru are flip-floping as the world's largest supplier of coca and producer of cocaine. Every year coca leaves sufficient to produce 285 tones of high quality cocaine are harvested in Vrae. At the same time 92 percent of Vraes inhabitants lives below the poverty line and nearly 47 percent lives in extreme poverty. The farmers are at the very bottom of the cocaine food chain.